You’re tired of having to look at the faded and stained upholstery in your car? Don’t bother trying to restore it to its previous condition on your own. Most likely your attempts at cleaning the upholstery would prove to be futile as the process requires specialised equipment, detergents and some degree of competence. Consider booking our professional car upholstery cleaning services in Highbury instead, for impeccable results at competitive rates. Our company provides high-end car upholstery cleaning services throughout Highbury and enjoys an immaculate reputation among hundreds of customers in the area. Why? The secret of our success is quite simple actually – we are reliable, diligent, fully-equipped and customers’ satisfaction is our main priority. With over fifteen years of experience in the trade and hundreds of regular customers, we know just what is required to restore your worn out and stained car upholstery to its original glory. Our high-end steam cleaning machines and powerful detergents enable us to clean your car’s interior for a short period of time. 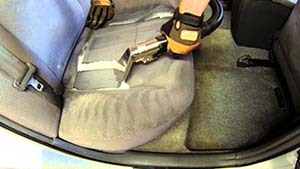 Our diligent technicians are not satisfied with cleaning your car seats only. The service we provide is beyond detailed as it includes cleaning headrests, seat belts, the headlining fabric, floor mats and upholstered door panels. Once we are done, your car will look brand new once again. As we’ve mentioned, our services are rather flexible and personally-tailored to suit the needs of each individual customer’s car. If your vehicle requires cleaning the headrests and front seats only, this is exactly what we would do. No hidden costs, no extra charges – all you get is superb quality and value for your money. 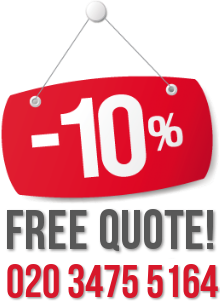 The car upholstery cleaning we provide throughout Highbury and the surrounding area is tough to match in terms of pricing, results and commitment. If our services appeal to you, feel free to call us for an appointment any time – we are always at customers’ disposal!